Awesome 3 bed/3.5 bath condo in terrific location/setting overlooking pond & tennis ct. from private rear deck. 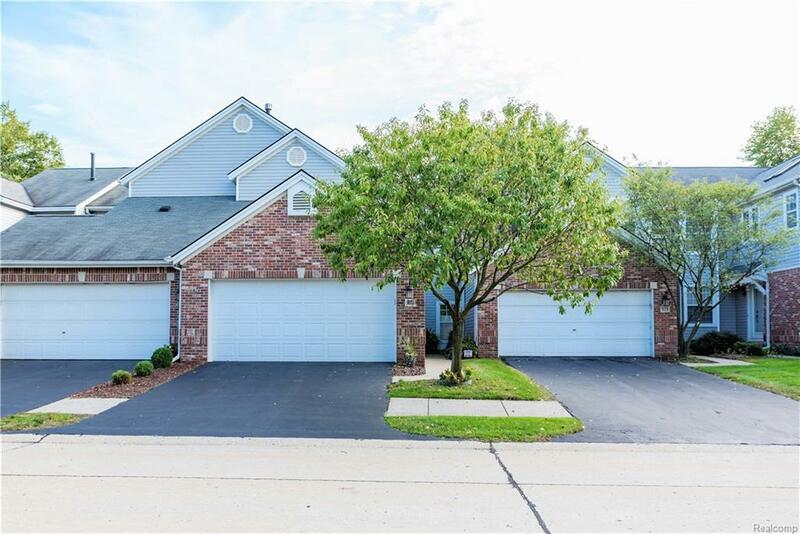 Spacious and bright condo features gas fireplace, newer windows & new carpeting in living room, along with two skylights, custom transom window over entry & updated baseboards. Kitchen has Silestone counters, extended cabinetry w/slide-out shelves, trash-can drawer, under-cabinet lighting, pantry, generous breakfast area plus formal dining room. Upper-level owner's suite has updated bath w/separate tub & shower/Euro glass door, two more bedrooms & hallway bath. Fully finished lower level includes 3rd full bath, wet bar, terrific family room/office areas. Come check out many more updates in this special condo that feels like a stand-alone house. Make your home in this well-maintained complex and enjoy the pool, clubhouse, tennis courts & convenient commuting. IDX provided courtesy of Realcomp II Ltd., via Sine & Monaghan Realtors Real Living Llc Ro and Realcomp, ©2019 Realcomp II Ltd. Shareholders.